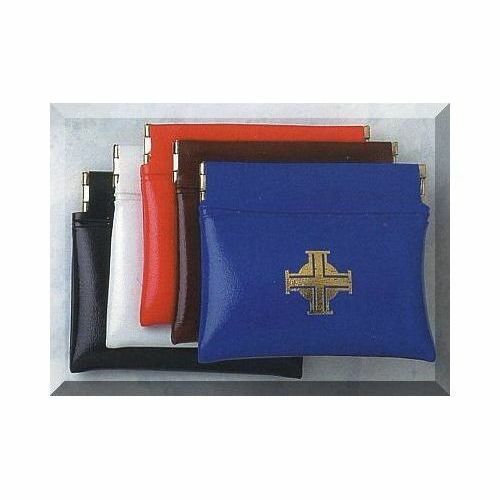 These rosary cases are made from soft vinyl with a gold stamped cross on the front. They are lined and have a squeeze top. 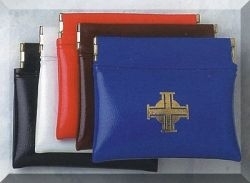 These would make nice gifts for First Communion rosaries. Choice of colors.